Sue Foley cruises back into to Toronto for a club date at the Silver Dollar on Saturday, April 5. This is her first appearance in town since she participated in the 1995 TBS Women’s Blues Revue. Since then, her new album, Walk In The Sun, has been completed and she’s busily touring to support it. Antone’s now has a distribution arrangement with Discovery Records, which is, in turn, distributed here by Warner Music. This should ensure that Walk In The Sun is available in a record store near you. Lake Simcoe Blues: The Orillia Spring Blues Festival is coming up on April 25, 26 & 27 at 19 different Orillia area venues. Over 20 live blues bands and jam sessions are featured this year. See back pages for listings and check their website at www.muskoka.net/blues.html. Please send messages to Jon de Veth at deveth@muskoka.net. Air-Worthy: TBS member Andrew Kempa is organizing another fundraiser for the Canadian Airlines Employees Charitable Foundation. It takes place Friday, May 16 at The Blue Goose. Headlining will Maureen Brown‘s 8-piece band Big Hand. Opening will be The Blue Goose house band, The Pie Guys with special guests. For more info, call (416) 695-4739. Greetings from Ottawa: Mark Hall from the Ottawa Blues Society tells us that they are up and running. They had a membership drive recently when Duke Robillard was in town, and things are picking up. Plans are in the works for a website and newsgroup. 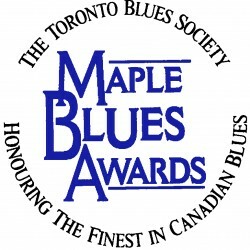 You can reach the Ottawa Blues Society at: 613-745-0712. Email m_hall@istar.ca. Owen Sound is also in the process of forming a blues society. For more info, contact James Wayner at www.mrblues.com. Les Amis: Eric Paul-Hus of Blues-L fame on the internet informed us of a new publication in Quebec for lovers of blues. It’s called Les Amis du Blues. They have a web column online at www.qbc.clic.net/~blues. For a one-year subscription ($15), send cheque or money order to: Les Amis du Blues, c/o Pierre Jobin, Editor, 9191 Carre Richard, QC G2B 3P7. Back issues are available. Danny makes his mark in cyberspace: Danny Marks‘ new website goes into action on April 1st. Browse on over to www.dannym.com to see what Toronto’s guitar guru has to say on-line. Kudos to Marks on his excellent job hosting the 11th Annual TBS Guitar Workshop at the Dollar on Mar. 22nd. Under The Volcano is producing the First Annual Kootenay Blues Festival, May 9-10, in two small south-eastern BC towns: Nelson and Trail, BC. The soft-seat theatre shows are expected to draw 1200 people. Confirmed to date are: Ellen MacIlwaine, Whiteley Brothers and Amos Garrett, plus local opening acts Mystery Train and No Excuse. Under The Volcano is a political arts organization promoting social change through festivals and concerts throughout southern British Columbia. They can be reached via their website: www.audience.com/volcano or by snailmail: Under The Volcano, Box 21552, 1850 Commercial Drive, Vancouver, BC, V5N 4A0. Booking inquiries attention: Irwin Oostindie. Q-Blues: “Cards and letters” continue to pour in for John Small due to the cancellation of blues programming on Q107. The whole story is explained on the website www.bluesnorth.com. “It’s pretty awful how the shows were zapped. They’ve got their spin doctors and real music, I guess, doesn’t count.”, Small lamented in a recent email. 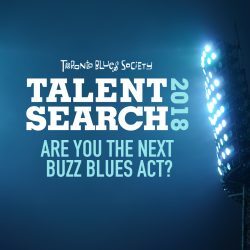 Blues North is currently seeking a new home on the Toronto airwaves. B.B. King will be featured on The Microsoft Network in a show called Rifff, from April 25th – May 2nd. Guest chat is currently scheduled for May 1st, 6pm PST (subject to change). If you’re an MSN member, stop by channel 3 in Rifff. If not, there is a way to get a free trial membership and the CD. http://promotions.msn.com/public/cdorder/cdorder.htm. You can access Rifff with the Program Viewer for MSN 2.0, or you can use the latest Internet Explorer and set your browser for http://rifff.msn.com/. Geeks and environmentalists alike: The first company that distributes CD-quality music strictly by electronic means has arrived. The consumer can download directly through the internet with no shipping involved. On March 5th, 1997, Nordic Entertainment Worldwide (NEW) announced the first DMS (Downloadable Music Site). You can listen to a small mono sample of the music before you buy, and if you prefer, buy just one song at a time. If you’re wondering where you will store all this music after you download it (unless you are digitally wealthy and have the biggest, most coveted hard drive in town), fear not, for Nordic is releasing the Music Archiving System (MAS) for Mac and PC platforms which gives anyone with a personal computer the ability to put up to 200 songs on one CD ROM in full 16 bit 44k CD quality stereo. This CD ROM can then be played on any multi-media computer with a CD ROM drive. www.nordicdms.com. Ya, Link Us Up: The Jefferson Blues Magazine from Sweden is 28 years old, which apparently makes it the world’s oldest. The name (now shortened to Jefferson) derives from the one and only Blind Lemon Jefferson. There’s alot to read, and much of it in English! Check out their 113th issue at www-pp.hogia.net/jefferson/, containing interviews of Luther Allison, Big Lucky Carter, and more. 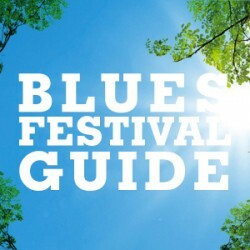 Other new links we’ve added to the TBS website this month are www.bluesfestivals.com, a comprehensive listing of blues festivals, and Kevin Duke (participant in March’s TBS Guitar Workshop). www.interlog.com/~cpreal/ava/kevin_duke.html. Kevin and his band, Johnson Hotel, will be recording a live album at Peterborough’s Red Dog Tavern this spring. R&B legend and Rock ‘n’ Roll Hall of Fame member LaVern Baker died of a heart attack on Monday, March 10. She was born Delores Baker (not Delores Williams as some books say) on November 11, 1929, in Chicago. Her aunt (her father’s sister) was popular blues singer and recording artist Merline Johnson, known as the “Yas Yas Girl,” and she was distantly related to the legendary Memphis Minnie. She recorded under that name and as Bea Baker during that period, but eventually adopted the name LaVern, and gained wider fame as a performer at several of Alan Freed‘s early R&B concerts. In 1953, she signed a contract with Atlantic Records. Baker’s first charted record for Atlantic was “Soul on Fire”, but the record which really made her a national star was “Tweedlee Dee”, recorded in October 1954. It had long been common for record labels to release toned-down, pop versions of R&B records for white audiences. But when they covered “Tweedlee Dee” using singer Georgia Gibbs, Mercury Records used the same back-up musicians, playing the same arrangement as Baker, note for note – it wasn’t a cover, it was a rip-off, and a scandal. Gibbs’ version sold more than Baker’s, but Baker got widespread publicity when she wrote the US Congress, asking for changes to the copyright laws, to make such copying illegal. She also got laughs and more support when she made Gibbs the beneficiary of a travel insurance policy, saying that if she was killed in a plane crash, Gibbs wouldn’t be able to make a living. LaVern Baker went on to record a string of hits on Atlantic, including “Jim Dandy”, “See See Rider”, and “Play It Fair”. Between 1955 and 1966, she had 21 records on Billboard’s R&B charts, and twenty on the pop charts. According to record lore expert Joel Whitburn, Baker was the third most popular female R&B star of the 1950s, following Dinah Washington and Ruth Brown. She toured constantly, playing every venue from segregated southern bars to Harlem’s Apollo Theater. She appeared on national television, and in two movies. But by the mid sixties, styles in music changed. Baker’s hits dried up, and she failed in an attempt to transform herself into a Las Vegas nightclub performer. In 1970 she went to Vietnam to perform at US military bases. From there she traveled to Thailand, Hong Kong and Manila. Her booking in Manila was supposed to be for two weeks, but they kept her on for three months, and then she went on tour throughout the Philippines. Baker did so well in the Philippines that she stayed for twenty years, working most of that time as entertainment director and performer at a Marine corps NCO club at Subic Bay. In 1988, LaVern Baker returned to the United States briefly to sing at Atlantic Records 40th anniversary celebration. In 1990 she came back again, to join the cast of the Broadway show Black and Blue, taking over from Ruth Brown. When the show ended its run in 1991, Baker decided to stay in North America. She assembled a band and went back on the road, appearing at clubs across Canada and the US. Her new live act can be heard on the CD LaVern Baker Live in Hollywood ’91 (Rhino). She appeared in Toronto at the Bermuda Onion in 1991 – the only time I ever saw her perform live. She was obviously having some trouble walking then, but her voice was powerful, her jokes were raunchy and loud, and her rapport with the audience was amazing. As the 1990s wore on, Baker’s health declined. She had diabetes, and complications of that disease led to the amputation of both legs in 1993. Even after that, she wowed the audience at the opening of the Rock and Roll Hall of Fame in Cleveland in 1995, performing in a wheelchair. LaVern Baker finally succumbed to a heart attack this past Monday, at the age of 67. She was a legend, a hero who set a brilliant example. She “kept on keeping on,” despite racism and hard times, despite personal tragedies and illness, until the end. The musical world has lost another giant. Sleep well, LaVern. Touring musicians will be glad to hear about a new initiative at the Canada Council that is about to become reality. The program is designed to meet the needs of artists wishing to tour, particularly into areas where they have not got a profile.. Canada Council will be introducing (this spring roughly) a programme to support an artist (or possibly managers) who would like to hire an agent to coordinate a tour (ie. you have interest in the uk, but couldn’t possibly afford to coordinate a tour) This programme would allow you to offer an agent a base working FEE to do the job and offset the fact that the job is not worth doing for the small commissions (and long hours, and long distance charges) that would be incurred. For more info call 800-263-5588. Ontario Contact ’97 will be held October 16,17 and 18 at the Canadian Broadcasting Centre, Glenn Gould Studio and the Metro Toronto Convention Centre. For more information, please call the Arts Development Group at the Ontario Arts Council, (416) 969-7420 or 1-800-387-0058. Harmonica Happening‘s Spring Event is a once-a-year gathering of harmonica enthusiasts. It will take place Saturday April 26th, 1-9pm, at the Sai Woo Restaurant (3rd Floor), 130 Dundas St. W. at Bay. Hi! Thanks for the great article in last month’s newsletter about the history of blues guitar in Toronto. There are a lot of names there that should not be forgotten. They represent what used to be called the “Toronto Sound” and there was a time when that really meant something. Now with so many wonderful players in so many styles it’s a much broader scene. I would like to add a memory of mine to this if I may. There was a very important club to all of us who were playing blues exclusively in our bands. Mainly because there weren’t too many clubs that would have us. It was called the Forbes Tavern and it was on the corner of Mutual and Shuter. It was an old style tavern with the “women and escorts” side divided from the “mens’ drinking room”. The door was manned by an ex-wrestler name Killer Jim Conroy who was a great guy and quite effective as a bouncer. When I first started playing there with “The Blackbottom Blues Band” the drinking age had just changed from 21 down to 19 and Downchild had been there forever it seemed, and they were building a large following. There were a few bands that played there. One I remember was the “Paris Rothschild Band” who had a wonderful woman singer, whose name I have forgotten. Larry Goodhand had a fabulous band that played there all the time. I’m sure there are people out there who can write you with lots of other names of both bands and players. The audience was always the same people as I remember and we all became friends. I still see people from that period that aren’t players but are still blues lovers. We all were very committed to the blues and our bands’ repertoires were almost completely blues tunes. There were a couple of other clubs. The Paramount Tavern on Spadina and the basement of the Colonial Tavern on Yonge, that hired blues bands at that time and it would be interesting to see if any of your readers remember any of the other bands. The late 60s into the early70s was when the blues really hit Toronto. It would be great to compile a real list of those players and see where they are now. Bravo to Danny for his terrific, concise but comprehensive Toronto blues guitar history. I’ve been pulling out old vinyl to recapture the golden age of Toronto guitar players. There’s probably a neat follow-up on Pete Traynor, eh? Cheers. I just did a search on Village Jazz Summerfest and see that you so kindly gave us a plug on your website. Thanks so much for your support. We are working hard to keep the ball rollin’ out here in Dorchester so that we can celebrate Festival ’97. As you no doubt understand, fundraising has never been harder, but miracles do happen and if all is well, we’ll be able to pull off another fest. The Canadian talent out there in jazz, blues and gospel is first rate and as many people as possible deserve to enjoy live music whether it’s in the big cities or the little villages! Thanks again… And thanks for all you’ve done for blues in Ontario. Not only was the playing great – especially the hot! hot! set by Lil’ Ed and Dave (have many of you heard these guys before?) – but it struck me, once again, just how informative this workshop is, for both players, and for non-players alike. It’s so cool when you can get real pros up there, sans posturing, speaking to such a broad audience. Kudos to all involved. So, anyone who was there, you gonna remember the first rule Pat Rush gave about playing guitar around these parts? YOU ARE PLAYING IN CANADA! Don’t make your guitar suffer any more than it has to – and keep prayin’ for spring/summer and all those WARM festivals.